When you show the records in the temporary table, this is what you get. The temporary table just created. 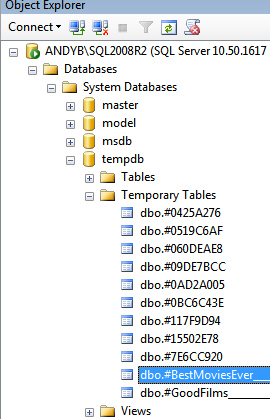 The full table name is over 100 characters long, since it contains a unique number attaching it to this particular user of SQL. Knowing this fact helps us make sure that we can drop the temporary table before we try to recreate it, as shown in the next part of this blog.